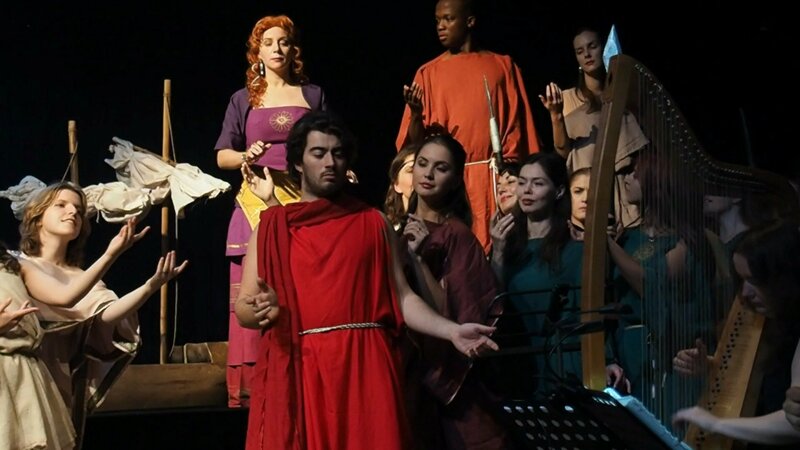 This post responds to questions from two members of the International Baroque Opera Studio, singers of leading roles in the recent OPERA OMNIA production of my remake of Monteverdi’s lost (1608) masterpiece, Arianna. 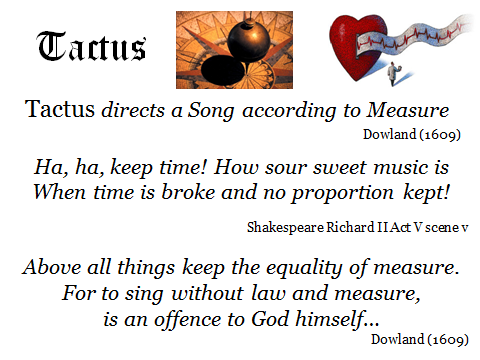 The performances (and also my composition of the score ‘in Monteverdi’s voice’) were founded on the principle and practice of Tactus, the slow steady beat that (according to John Dowland) ‘directs a song according to measure’. It’s quite radical to sing a baroque opera in Tactus. Most modern-day performances are not directed by Tactus, nor do the continuo-instruments ‘guide the entire ensemble of voices and instruments’ (as Agazzari advises Del sonare sopra’l basso in 1607). 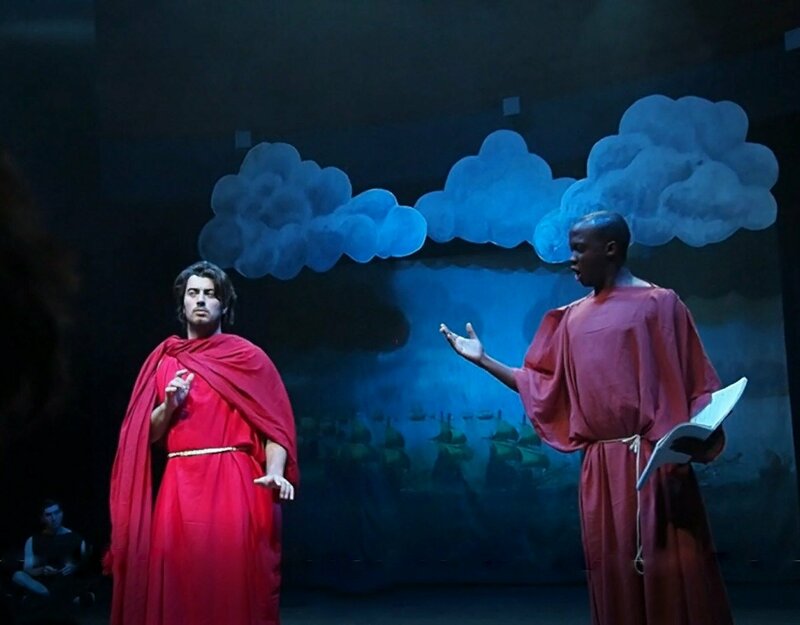 Rather, even performances that claim to be ‘historically informed’ are nowadays often conducted. We all know that this is unhistorical, and it is high time that professional critics began to complain about dinosaur-conductors! Now that you have explained to us about the Tactus, I had a problem with the concept of sprezzatura, I felt that the Tactus did not give us more to deal with sprezzatura, I felt like it limited us to involve Tactus and sprezzatura at the same time. 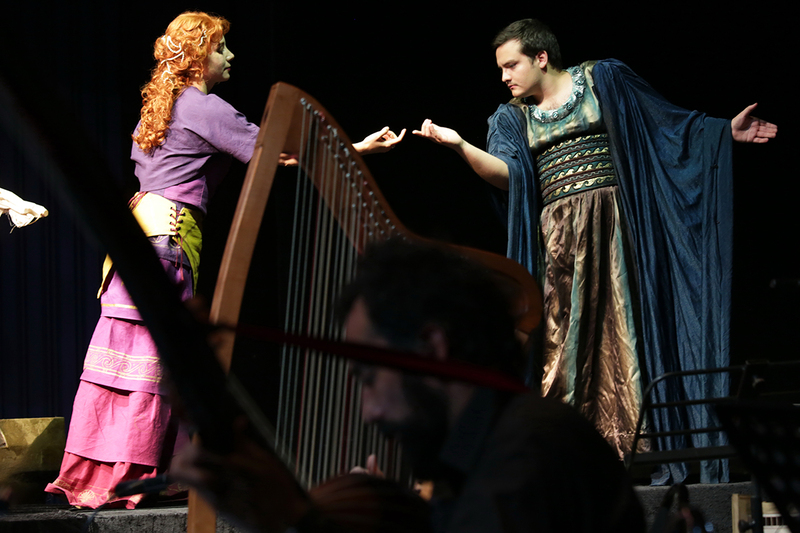 Opera is a mix of music and theatre. What is difficult for me is just this: Everything in music is subordinated to a Tactus, and that’s reasonable (and just cool). But what about theatre? 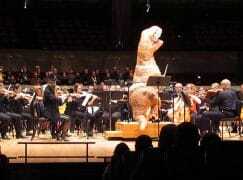 How to combine this musical Tactus and theatrical freedom? What to do if it feels like you need some stop, some pause in reaction or the opposite, if you feel like you need something unexpectadly fast, I’m talking about drama, about the text, about meaning of words, and more – about situation of the heroes of the opera itself. What to do when you need more freedom than Tactus lets you have? Does it mean you actually were not inside tactus? Or shoud you make yourself feel and listen to a tactus only? These are appropriate and serious questions, and I’m delighted that the Arianna project provoked such thoughtful and enquiring responses. This is precisely the interaction of performance and research, brought about by advanced training, that the Baroque Opera Studio aims for. 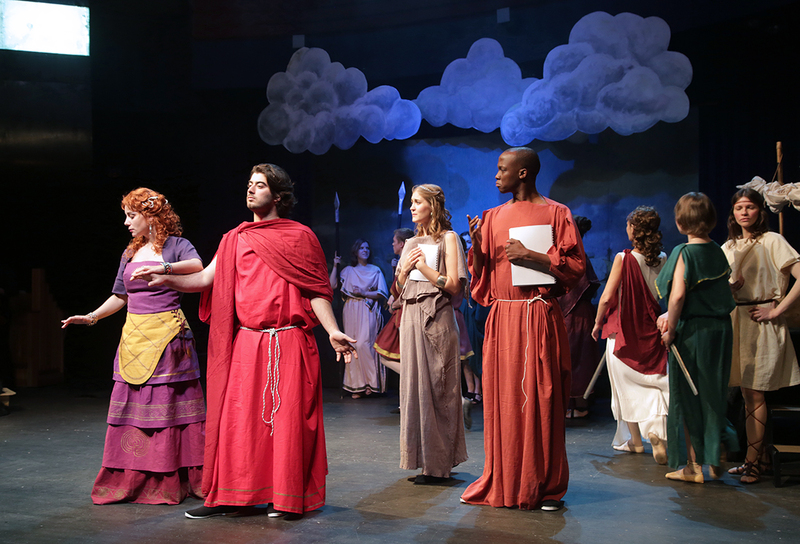 Both writers address questions of rhythmic freedom, within a Tactus-driven performance style, but from subtly different perspectives of singing and acting in historical music-drama. 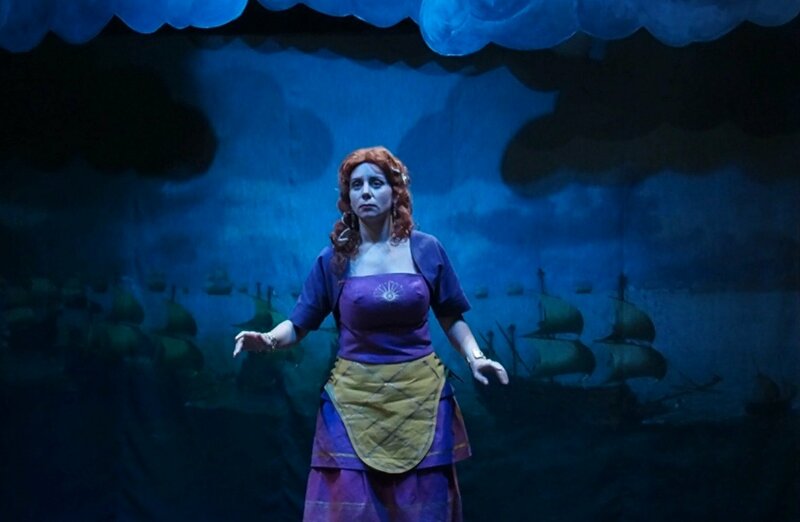 And Arianna is the ideal test-bed for such experimental investigations, since the 1608 performance brought together court singers and the commedia dell’arte actress Virginia Ramponi-Andreini (in the title role) to create a musical/theatrical experience that moved the audience to tears, and which Monteverdi himself considered his best-ever approach to the ‘natural way’ of representing emotions in music. What appears to be the simpler matter, how to combine Tactus with sprezzatura, needs the longer answer. Lurking behind this singer’s enquiry are at least two more, hidden questions: what was sprezzatura? And: how significant was it, how frequently was it used? The consensus assumptions nowadays are that sprezzatura was defined by Caccini as rhythmic freedom, that it is highly significant and was very frequently used. But these assumptions are not supported by period evidence, least of all by Caccini. In the 20th century, the ‘vacillating rhythm’ of tempo rubato was an essential element of the Romantic aesthetic. In that cultural climate, the argument seemed reasonable that if Caccini’s ‘new music’ was especially expressive, then its rhythm must be especially free. So musicians and musicologists leapt to the conclusion that sprezzatura must mean rhythmic freedom, and blithely assumed that it would have been as essential for Caccini as rubato was for them. But Caccini does not say this, not at all. Rather, it is canto – singing, i.e. voice-production – that is treated with sprezzatura, and (according to Castiglione, who first used the word in his 1528 Il Cortegiano) sprezzatura is only applied to some low-priority, less significant element of the total performance. Modern-day singers might be shocked, but voice-production was a low priority for Caccini: he put Sound ‘last of all: and not the other way around!’. My detailed analysis of Caccini’s Preface to Le nuove musiche (1601) is here: Play it again, Sam! The truth about Caccini’s sprezzatura To summarise from that article, Caccini’s sprezzatura is a ‘cool’ way of singing, a style of voice-production that is something between speech and song. And in a bold statement, backed by the full authority of the Florentine camerata, he defines music as ‘Text and Rhythm, with Sound last of all’. Caccini’s unambiguous insistence on rhythm has received little attention from performance practice scholars, especially compared to all the ink spilled over discussions (often skewed) of sprezzatura. Alongside his text, Caccini provides music examples. In these, the speech-like voice-production of sprezzatura is mentioned only once, in connection with the unique occurence of senza misura. This – without measure – is rhythmic freedom for the singer, but (as we see from many notated examples in Monteverdi’s compositions) the continuo maintains steady Tactus. The result is something like modern-day jazz, where the singer floats freely over steady rhythm in the rhythm/bass section. Such free melody over a timed bass is described clearly by Leopold Mozart as late as 1756, and was the secret even of Chopin’s piano style. I’m grateful to Domen Marincic for bringing to my attention a letter written by Caccini, in which he links the word sprezzatura to the practice of senza misura. Otherwise, this word sprezzatura receives little attention in the 17th century. It is not part of the discourse of those key texts that establish the seconda prattica, the passionate style associated with early ‘opera’. There is no mention of sprezzatura in the writings of Cavalieri, Peri, Viadana, Gagliano, Monteverdi, or that wonderful ( but anonymous) source on music-theatre, Il Corago. In contrast, Tactus is a fundamental element of renaissance practice in education, study and performance, a vital part of musical discourse in this period. Zacconi characterises it in Prattica di Musica (1592) here as ‘regular, solid, stable, firm… clear, sure, fearless and without any pertubation’. And in all Caccini’s music examples, there is only one occurence of a change to the Tactus itself. Caccini indicates it as con misura piu larga (in measure, but with a slower beat). The idea is not discussed in the Preface text, at all. But such small and infrequent changes to the Tactus are codified in Frescobaldi’s famous Toccata rules (see Frescobaldi rules OK?) and will be discussed in a post I’m preparing on Tweaking the Tactus. 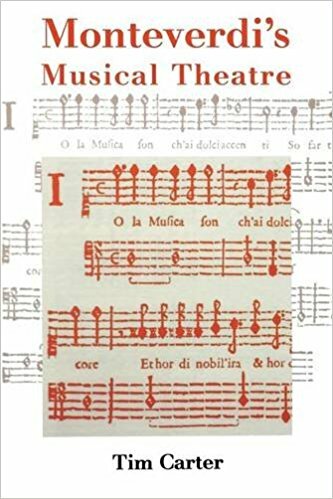 We can establish from simple word-counting that Caccini’s Preface is dominated by the concepts of affetto (passion, or a passionate ornament) and effetto (a passionate ornament or the effect of such an ornament on the listener’s passions). These interlinked concepts are mentioned 41 times, suggesting that what is really ‘new’ about the nuove musiche is Caccini’s focus on passion (affetto), combined with the linking of such passion to a particular class of ornaments (affetti/effetti) and to the emotional effect on the listener (effetto). Moving beyond that principal focus, other concepts grazia (14), nobilita (8), buona maniera (7), crescere (8), scemare (6) esclamazione (12), trilli (9), giri and passaggi (5) are all mentioned far more often than sprezzatura (2). In the music examples, there are 13 esclamazioni, 11 trilli, 4 gruppi. Sprezzatura occurs only once. Senza misura only once. Con misura piu larga also only once. The conclusions are inescapable: sprezzatura means a speech-like voice-production, not rhythmic freedom. In any case, it is rather insignificant. Rhythmic freedom is mentioned only twice (though Monteverdi notates it more often, and mentions tweaking the Tactus in the Vespers). It’s worth noting that Caccini associates free melody over timed bass with shortening the written note-values (most singers today want to drag), but a change to the Tactus itself with a slower beat. Caccini’s Preface was translated into English and published by Playford in 1664 (with many reprints). Samuel Pepys was inspired to practise the one-note trillo (recommended by Caccini as the key to mastering all kinds of florid ornamentation), but the question of sprezzatura did not attract significant attention until the mid-20th century, when (rather ironically) it resonated perfectly both with the mainstream aesthetic of tempo rubato and with the Early Music counter-culture of disdain for authority. That is to say, it resonated perfectly with the spirit of the 1960s, once it had been misunderstood as ‘rhythmic freedom’! If rhythm is guided by Tactus, how can we make baroque music expressive? It’s certainly true that circa 1600, composers and performers were searching for new ways to ‘move the passions’, stripping away the complexities of polyphony, introducing wild chromaticism and ‘forbidden’ dissonances, inventing new genres of music-drama which eventually led to what we now call ‘opera’. But there is a subtle difference between the Romantic notion of a performing “expressing” their own artistic genius, and the seicento aim of moving the audience‘s passions. Baroque performance, with all its formal structures, requires discipline as well as intensity, inspiration but not self-indulgence. If we consider the nature of conservatoire teaching, it’s understandable that modern-day, classically trained singers feel they have been disarmed, if their favourite device of rubato is ruled out. 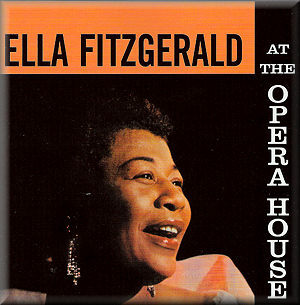 But a jazz singer does not feel constrained by the absolute requirement to swing: it don’t mean a thing, otherwise! Rather, jazz soloists are guided by their rhythm section, and they relish how words and emotions ride the groove. The best performers can even side-step the regular beat, in a way that adds grace and/or energy, without destabilising the tempo in the slightest. And no rock-band would ever consider that powerful rhythm reduces the emotional power of their greatest anthems! So we can embrace the power of Tactus, and need not regret the loss of rhythmic freedom, any more than we should resent Shakespeare’s structure of the iambic pentameter. Rhythm is energy, rhythm is power, rhythm is the force that hammers home the emotions, deep into the listener’s soul. This goes back to the great orators of classical antiquity: as Cicero observed, the rhetorical ‘thunderbolts of Demosthenes could not have been been hurled with such force, had it not been for the rhythm with which he launched them. Quintilian thought that Cicero paid even more attention to rhythm than Demosthenes himself. So the word ‘happy’ should be sung happiLY; the word ‘sad’, sadLY; the word ‘love’, lovingLY etc. Sometimes singers try to reduce the rich meaning of the poet’s chosen word to the one-dimensional choice of forte or piano. But such an emotionally significant word as ‘joy’ is not communicated by mezzo-forte: it needs to be sung joyfulLY. Once this simple but powerful principle is understood, we realise that the sung text contains a wealth of high-precision coaching directions: almost every word demands a new vocal colour. So to sum up, and answer the question about Tactus and sprezzatura, the fundamental and (circa 1600) much-discussed principle of Tactus takes precedence over the obscure reference to sprezzatura, little discussed in the seicento even by Caccini himself, and misinterpreted (as well as over-emphasised) in the 20th century. If there is some kind of rhythmic freedom, it is still framed by the stable Tactus (Froberger Rule 1: even when the Tactus is tweaked, you control the change by means of Tactus). Caccini’s senza misura is notated by Monteverdi as a rhythmically displaced vocal line over steady Tactus in the basso continuo. I haven’t yet done a rigorous analysis, but my impression from well-known instances of this rhythmic displacement in Orfeo and Vespers is that Monteverdi anticipates the beat more often than he delays until after the beat: this would be consistent with Caccini’s remark about shortening the written note-values. It’s also worth noting that Caccini’s two isolated examples of rhythmic alteration are each cued by strong hints in the text. So rather than approaching an early baroque text with a particular technique (e.g. rhythmic alteration) in mind, it would be more appropriate to wait for the text itself to suggest the most suitable technique. In Arianna, Teseo’s festive and glorious rhythms at tra feste e pompe gloriose e belle contrast with the first speech of his Counsellor that follows. Langue mortal virtu (mortal virtue languishes…) suggests that the singer might languish in tempo, falling behind the continuo bass temporarily. A good composer (and Monteverdi was the best at this) will have done much of the work already by writing a languid long note for langue. A good singer will find a suitably languid tone-colour, and might well stretch this word beyond the confines of the Tactus. Continuo-players will not wait for the singer, but will maintain a (suitably languid) swing, trusting that the singer will come back to join them, before too long! Consigliero’s next speech does not have any word that suggests rhythmic displacement, but the burning torches faci accese would suggest to the composer the bright sound of sharps (hard hexachord), whereas the shadows ombre in Rinuccini’s next line would suggest naturals (soft hexachord on F): singers can help this contrast with a corresponding contrast between bright and shady vocal colouring. And the composer will probably provide a long note on tremolar (as Monteverdi does for this word in Combattimento), giving the singer the opportunity to sing tremulousLY. This ever-present attention to the sonic implications of each word (realised within the rhythmic structure of Tactus) is where expressivity lies in this style, not in rubato for its own sake. The anonymous (c1630) Il Corago offers (with his typically pragmatic approach) a simple, practical solution to the problem of extra time being needed to accommodate some stage business. The continuo players should simply repeat the harmony (in Tactus). If it is known in advance that quite a bit more time will be needed, a simple chord sequence can be played rather than simply repeating the same harmony. Monteverdi notates this practice twice, at the beginning of scenes in Ulisse. This may also be the explanation for the long G minor harmony notated whilst Orfeo climbs into Caronte’s boat in the 1609 print of Orfeo, but that note might just be a misprint, since it does not occur in the second edition (1615). This practice would solve a problem in Cavalieri’s Anima e Corpo: when the Guardian Angel’s power strips Wordly Life of her glorious clothing to reveal wretched poverty beneath, the score leaves no time at all for the required stage action. A few chord from the continuo will fill the gap, and (crucially) maintain the Tactus until the singers are ready to continue. But our actress’ question goes beyond practical necessities to artistic choices: what if the actors on stage feel the need for more (or less) time to negotiate some crucial change of mood, some decision or search for motivation? My first answer would be to trust the composer. Monteverdi notates different kinds of pacing in his transitions from one speech to another, or between sections or ideas within a single speech. For example, at the most dramatic moment of Combattimento, as Clorinda is fatally wounded by Tancredi’s sword, the composer alternates high-speed action with slow-motion contemplation, conveying both the sudden fury of Tancredi’s assault, and the slow, almost eroticised horror of blood filling the beautifully woven gold jacket that restrains Clorinda’s soft breasts… she sinks to the ground… and he rushes to follow up his victory with another strike! Here, the composer’s note-values are clearly carefully chosen to direct particular, and highly effective contrasts in dramatic timing. In general, I would try to work with the composer’s notated timings, respecting his sensitivity to the expectations of the style of his own period. Where the notation at first seemed counter-intuitive, I would search for the hidden reason why the pacing is the way it is. For example, for the exit speech [I will conduct a life that my sadness suits] of the Messaggiera who informs Orfeo of Euridice’s death, Monteverdi writes a long slow ascent – menero vita al mio dolor – followed by an unexpectedly short cadence on conforme. 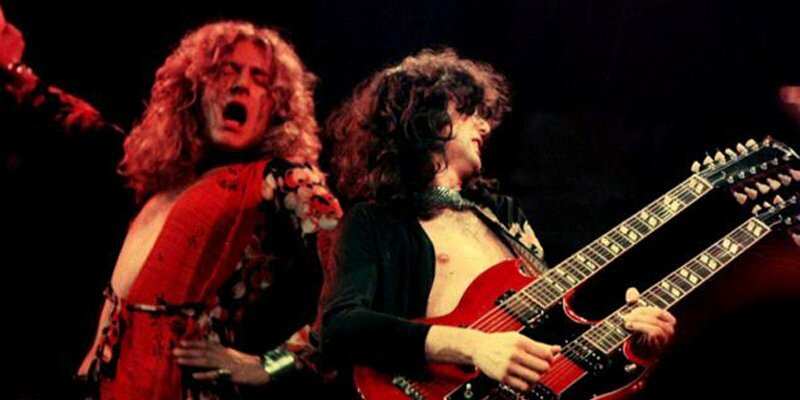 Many modern-day singers drag out that cadence with tragic intensity, but they miss the point. As Monteverdi himself realised, the emotionally laden words end at mio dolor [my sadness], and the word conforme [it suits] is necessary to complete the sentence, but does not itself convey any emotion. Is this Striggio’s error then, to put such an empty word at the end of the phrase, where we expect something worthy of the Principal Accent of the verse scansion? The explanation is in Gagliano’s description of the singer’s movement around the stage for the Prologue to Dafne: the singer starts to walk away on the penultimate syllable con-for-me already. So after the peak of sadness on the word do-lor (an unresolved dissonance), the singer turns away and abandons herself to her fate on the exit word conforme: the short cadence propelling her off-stage. Nevertheless, there are moments of great dramatic intensity when the tempo dell’affetto del animo (the tempo of the emotion of the spirit) conflicts with the tempo della mano (the tempo of the hand, i.e. Tactus). Monteverdi anticipates this problem for his Lamento della Ninfa, written over a four-note ground bass. When the Nymph needs more time to manage a particular emotional transition, the continuo players can provide extra chords (as recommended by Il Corago), and obviously they will simply continue with an extra iteration of the four harmonies of the ground bass. This is easily done, but it poses a challenge for the male voice trio who also sing in this scene. If each singer has a part-book, containing only his own part (the norm for such madrigals), then he will not know whether or not an extra round of the four-note bass has been added, or not. The harmonies are the same, every four chords, there is nothing to inform him “where are we now?”! Monteverdi’s practical solution was to provide a score for the men’s trio, so that they could follow the solo voice, and would know if the Nymph had waited four bars, or even jumped four bars ahead. The common feature of all these examples is that Tactus itself is maintained. There might be an extra beat, or even several extra beats, but ‘the clock keeps on ticking’. The particular example of the Lamento in Arianna is problematic. MS sources, perhaps deriving from Virginia Ramponi-Andreini’s part book, offer variant readings for the rhythms of certain sections – always in Tactus, but with different syllabic speeds for the most agitated lines. Although some musicologists see this as the remnant of some kind of free rhythm, I disagree. I see the variants as alternative solutions for finding the required emotional intensity, whilst remaining in Tactus. If the singer could use free rhythm, there would be no need to adjust the notation between one solution and another. It may well be that after the 1608 premiere, La Florinda chose another solution for certain lines when she performed the scene in contexts other than a full production of Monteverdi’s (now lost) score- this would explain the variant readings in the MSS. And in 1608, eye-witness accounts describe an accompanying string band, ‘violins and viols’: such a band would tend to be less flexible than a continuo-section, implying that whatever pacing was chosen, it would probably have been fixed in rehearsal, rather than improvised on-stage. 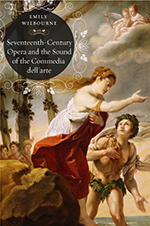 Contrariwise, Emily Wilbourne’s 2016 book on Early Opera and the Sound of the commedia dell’ arte confirms that improvisation was usual in staged Laments within the commedia tradition, but usually to simpler accompaniments. Most musicologists now assume that La Florinda and Monteverdi collaborated in some way to create the famous Lamento di Arianna. I would imagine that the composer would have listened to such an experienced actress’s advice on how to pace this most dramatic of speeches. So what has come down to us in the printed solo version presumably reflects the combined wisdom of the greatest actress and finest composer of the day. As a modern-day performer, I would be inclined to trust them, and to follow the dramatic timing they indicate. On the other hand, in other scenes of our re-made Arianna where I had to supply the music, if performers tell me that they found themselves struggling to act the words within the rhythms I had specified, then I should follow Claudio’s example and be ready to listen to my Florinda, my Rasi and all the other participants. Actually, I already went through the score of my remake, and fixed every passage that performers had repeatedly found difficult. If my version was tripping them up too often, it clearly needed improvement to flow properly. We know something of the history of spoken delivery in the theatre, especially for Shakespearian blank verse. Samuel Pepys’ personal song-book provides us with a reading of To be or not to be in musical notation, framed by the Tactus of a strumming guitar. Accounts of Garrick’s delivery contrast his style with that of James Quin, an actor of the previous generation. 18th-century delivery tended ever more towards rhythmic freedom, pauses for sustained poses (‘striking an attitude’) etc, a tendency that reached its zenith in the late 20th century with the silences and extended pauses of Pinter’s dialogue. This gradual shift from structure to freedom to dissolution, from Shakespeare to Garrick to Pinter, seems to parallel changes in musical performance practice from Monteverdi to CPE Bach to Paderewski. Since Il Corago and Peri tells us explicitly that early 17th-century ‘recitative’ is modelled on the spoken declamation of their finest actors, I would advise respecting Monteverdi’s rhythms as the closest we have to a time-chart notation of theatrical speech in this period. This and other questions are discussed in one of my favourite books about performance practice history in the theatre, Roach’s The Player’s Passion (1985). 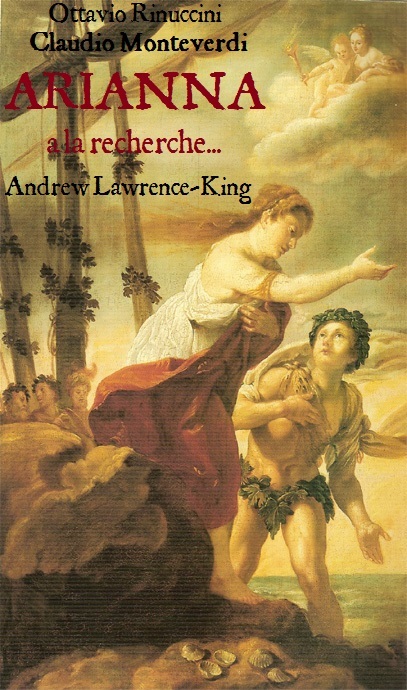 In particular, Roach’s opening remarks warn us that the via naturale – the natural way that Monteverdi found for his setting of Arianna would seem ‘natural’ only in the context of his period, his culture, his courtly etiquette and his theatrical expectations. Such ‘naturalness’ might seem very formal to us, for Arianna was a Queen and La Florinda a woman of the 17th-century. 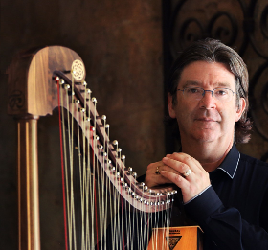 I would also like to acknowledge my huge debt to the scholarly and artistic inspiration for this project, provided by Emily Wilbourne’s Seventeenth-Century Opera and the Sound of the Commedia dell’ Arte (2016) and Tim Carter’s Monteverdi’s Musical Theatre (2002), and to thank Professor Carter again for his generosity – still ongoing! – with comments and advice.